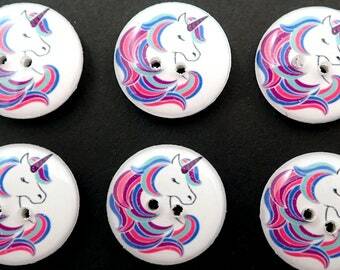 Handmade unicorn buttons. 6 handmade pink and purple unicorn head. The image on the button is of a unicorn head with pink and purple flowers on its head. Use for sewing, scrap booking and many other crafts. These are lightweight so also great for knitting or crochet projects as they won't sag when attached to your project. Other sizes available upon request. Please email me if you would like a different size. Washer and dryer safe. Two holes. White on the back. Images are from Daily Art Hub - commercial use allowed. 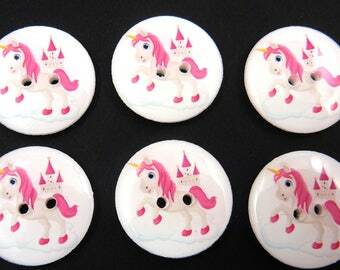 6 Pink and Purple Unicorn Buttons. Purple Unicorn Handmade Buttons. Choose Your Size. 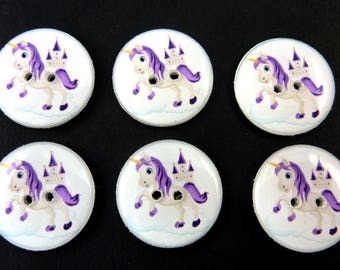 6 Purple Unicorn Buttons. Purple Unicorn and Castle Handmade Buttons. Choose Your Size. 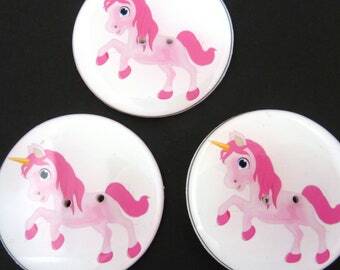 6 Pink Unicorn Buttons. Pink Unicorn and Castle Handmade Buttons. Choose Your Size. 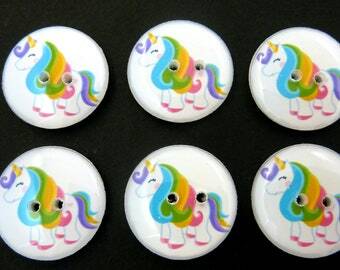 6 Rainbow Unicorn Buttons. Choose Your Size. 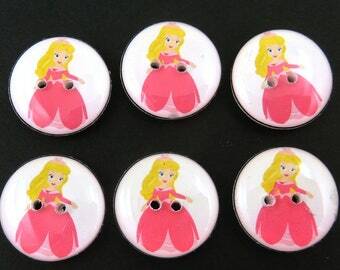 6 Princess or Cinderella Buttons. 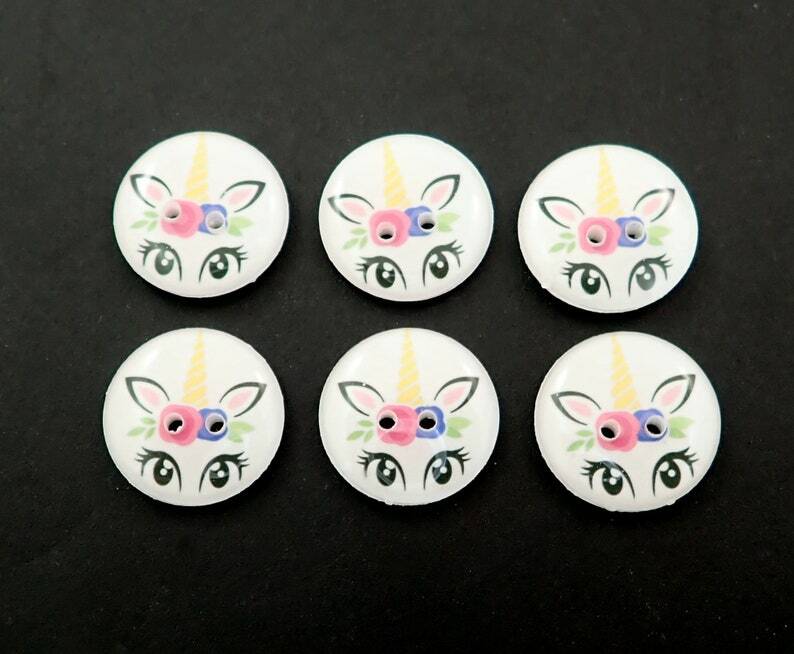 6 Pink Blue and Purple Unicorn Buttons. 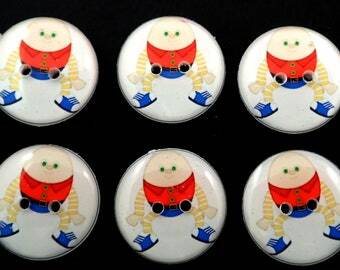 6 Rainbow Unicorn Buttons. Choose Your Size. Washer and Dryer Safe. 6 Grey Pegasus Buttons. Flying or Winged Horse Handmade Buttons. Choose Your Size. 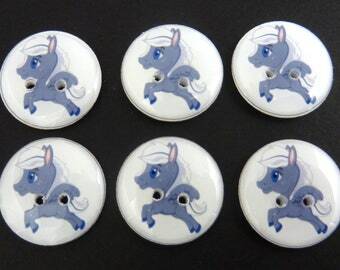 6 Light Blue Unicorn Buttons. Choose Your Size. 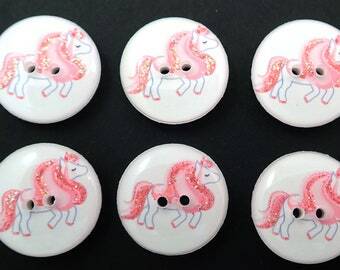 6 Pink Unicorn Buttons. Pink Glittered Mane. 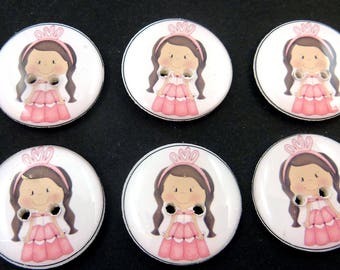 6 Princess Buttons. Brunette Princess Buttons. 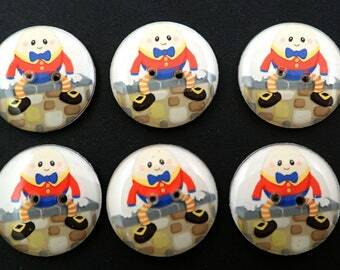 Sewing Buttons for Girls. 3/4" or 20 mm round. 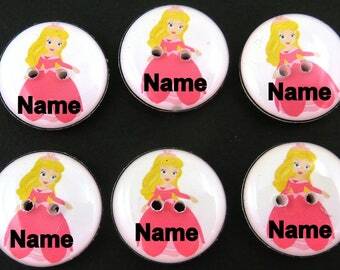 6 Personalized Princess Buttons. Add a Name or Text of Your Choice.